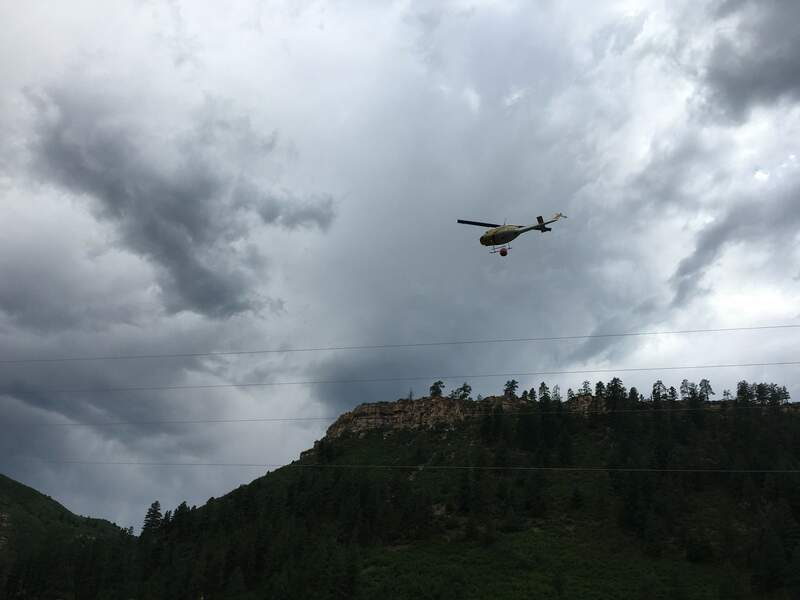 After more than three days fighting from the air and the ground, firefighters said Tuesday evening that the Coal Gulch Fire is 95 percent contained. Crews will continue checking for hot spots. Crews will continue to check the burn area, but now that the Coal Gulch Fire is 95 percent contained, the bulk of the firefighting is over. “They will be checking over the next couple of days to make sure no hot spots flare up,” said Fire Marshal Karola Hanks of the Durango Fire Protection District. The fire is located about a half mile of U.S. Highway 160 just west of Lightner Creek Road (County Road 207). It began shortly after 4 p.m. Saturday and was held to 5.68 acres thanks to some rain and lower winds, Deputy Chief Randy Black said Monday. “We have gotten some rain, but it’s spotty,” Hanks said. It wouldn’t hurt for people to pray for rain, she said. “And people need to be reminded that we still have a Stage 1 fire ban south of (U.S. Highway) 160,” Hanks said. The Stage 1 ban prohibits open burning, burn barrels, agricultural burning, campfires and other open burning in the designated areas, which include unincorporated and state lands. The Southern Ute Indian Tribe also has a Stage 1 ban on tribal lands. To learn more about what is allowed and what is prohibited under the ban, visit http://bit.ly/2aIWaq4.